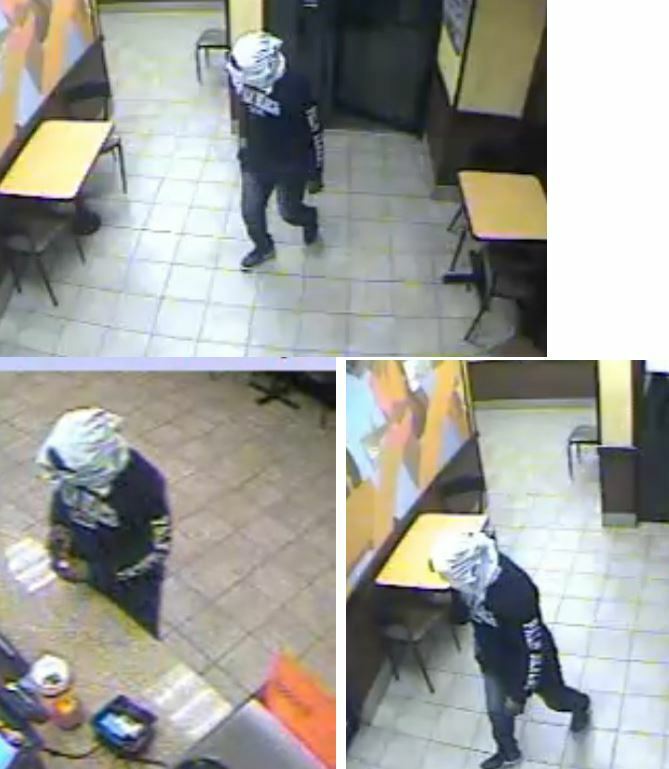 The Palm Beach County Sheriff’s Office needs the public’s assistance identifying a suspect wanted for armed robbery to a Dunkin Donuts. An unknown armed male entered Dunkin Donuts and robbed the business. The suspect was identified as a black male, 5’06 – 5’07”, medium build, wearing a long sleeve dark shirt with “Palm Beach” written on the chest and sleeve, blue jeans, black shoes and a white shirt concealing his face. This incident occurred between on October 21, 2018, at 6:50 am. Dunkin Donuts is located in the 2900 block of Northlake Blvd, unincorporated Lake Park. ← The Palm Beach County Sheriff’s Office needs the public’s assistance identifying suspects wanted for using stolen credit cards at Global Mart, Delray Beach.